Riley (6 months old) does NOT care about shame, or cones for that matter. Riley cares about treats, people, and dogs, and treats. And did I mention treats? Quick! Go check it out! It will make your life a little brighter. 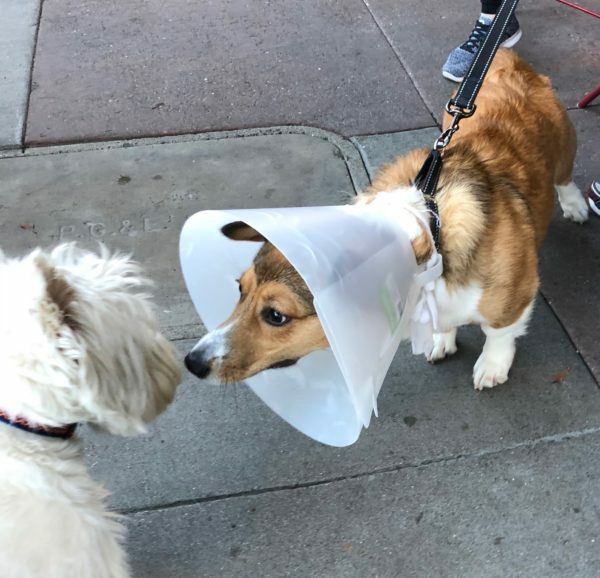 You can see exactly how much he’s bothered by the cone. 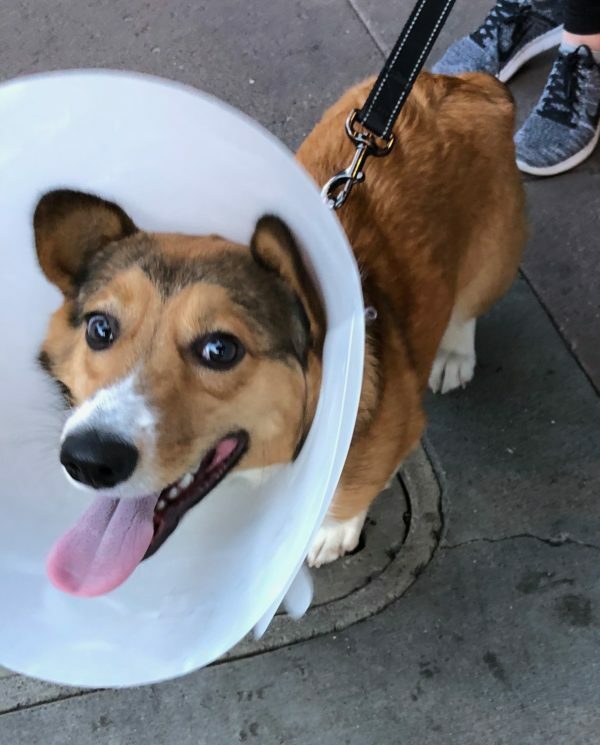 This entry was posted in Dog of the Day and tagged Pembroke Welsh Corgi, Polk Street, Russian Hill. Bookmark the permalink.